Founded originally in 1977 as The British Warmblood Society, The Warmblood Breeders Studbook - UK is devoted to the breeding of pedigreed horses for all competitive equine disciplines at the highest level. We support and encourage the use of the best and proven Warmblood lines and we are a full Category A member of the World Breeding Federation for Sports Horses. The best European bloodlines can be found in Britain within the Warmblood Breeders Studbook - UK and in order to maintain that high standard, strict quality controls are enforced to keep the society on a par with those abroad. We run a grading process twice a year and only those stallions and mares that pass the grading are recognised for breeding purposes within the society. Our annual summer show is an opportunity to inspect and evaluate the progeny from these graded parents and thus, combined with performance testing or competition record, stallions progress from "entry level" Group III up to Group I. Only stallions that have both performance and convincing and inspected progeny may reach Group I status. All these National Shows are led by Continental Judges who support and lead our approach.The progeny of these Graded Mares and Stallions are eligible for either pink or white papers and there is an option for stock to be branded. 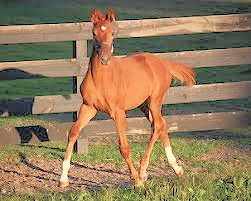 Young imported stallions and older stallions who are already licensed within their country of origin, may attend an Inspection Class at our Annual Stallion Grading and, subject to meeting defined criteria on grading and performance for either themselves or for their progeny, may be graded with the Studbook either fully or with a temporary permission pending progeny inspection. Stallions arriving into the UK too late for the Annual Stallion Grading, may be granted a temporary Covering Permission for the current stud season, subject to meeting the Technical criteria and attendance at the Inspection Class in the autumn of the same Breeding Year. Overstamping of other accepted breed society documents, is necessary to enable stock to take part in our gradings and shows. The aim of the Society is to produce sound, athletic and modern Warmblood competition horses of excellent movement and athleticism, suitable for all equestrian disciplines and to have British teams mounted on our British bred horses. Stallion Grading: Sandy Senior - Click to Email Tel: 01664 444547. 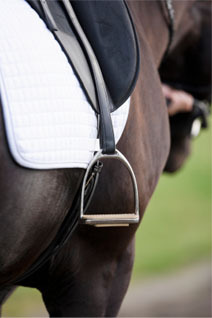 Mare Grading: Michelle Chambers - Click to Email Tel: 07923 153843. In order to comply with zootechnical legislation, WBS-UK declares that it does not discriminate between members. The Society operates on the basis of equal opportunities and non-discrimination on behalf of employees, members and customers. None of these receives more or less favourable treatment on the grounds of race, colour, ethnic or national origin, gender, sexual orientation, marital status, disability or religion. No questions are asked on any passport or membership application forms relating to the above items. Members are entitled to registration of their horses / ponies, stallion licence for graded stallions and reduced fees for show entries. Anyone with a complaint is asked to send a letter to the head office outlining the circumstances. You will receive an acknowledgement that your letter has been received by return. Your complaint will be looked at and dealt with by the appropriate person. You will receive an answer as to how your complaint will be dealt with within 15 days . If your complaint cannot be dealt with by the head office, the WBS-UK Committee will review your complaint at their next meeting. Written notification of their decision will be sent to you, along with procedures on how to appeal if the outcome is not to your satisfaction.